We had a good turnout at the St. Louis Science Center despite the protests in St. Louis. 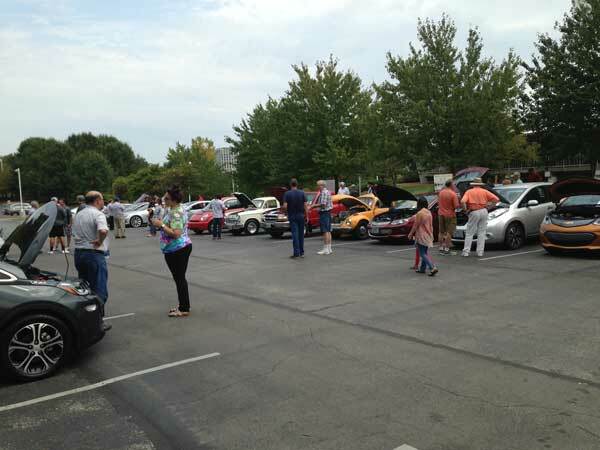 Join us at the Saint Louis Science Center for our annual Electric Vehicle Car show. This is a FREE family friendly event taking place in our Planetarium Parking Lot. Join us to speak with EV owners and EV dealers to get an idea of what Electric Vehicles are all about! Take a ride in a Tesla! Many of our St. Louis Tesla owners are happy to offer rides in their cars. Registered attendees report 11,340,972 electric miles driven.